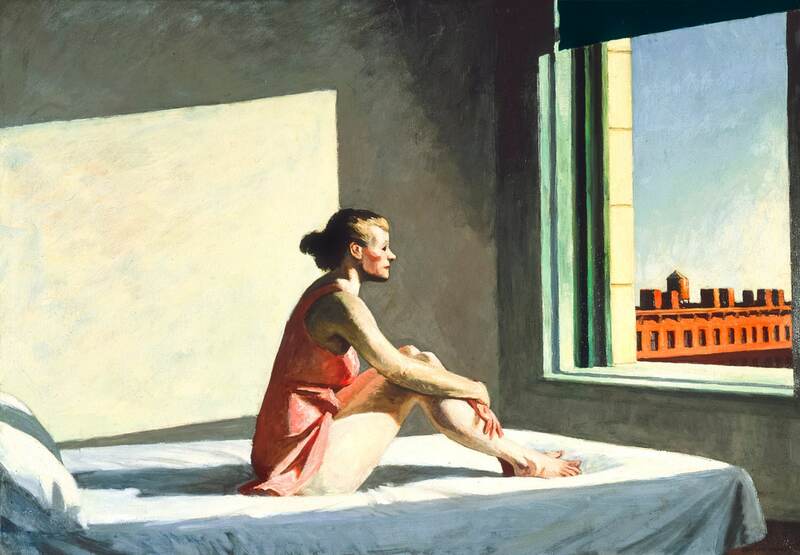 Edward Hopper's wife, Jo, was his muse and featured in many of his works. Here she plays the role of a woman sitting on her bed bathed in a celestial glow. Hopper once said that light does much more than illuminate a painting; it is an emotion and a metaphor. This woman is sculpted by the light and appears isolated yet serene.